We are a network of change makers who appreciate personal development and learning. 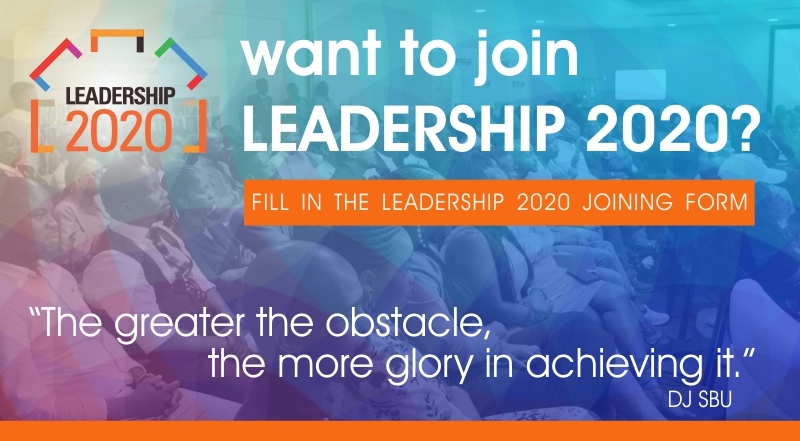 Leadership 2020 invites you to share your gifts and talents to help and develop the minds of our followers, students, associates & friends. Leadership 2020 is a future leader company dedicated to the growth and development of Africa’s richest asset, its people. We operate in the media, education and events industries and are passionate about developing leaders in Africa.